Hello. 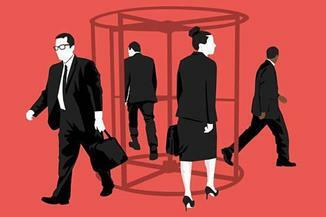 The CFO plays a critical role in fine-tuning business strategy. In the case of Royal Caribbean Cruises Ltd., the company’s effort to tempt more Chinese vacationers aboard relied heavily on placing a big bet on a bigger boat, the cruise line’s finance chief tells CFO Journal’s Ezequiel Minaya. Big bet. In 2015, Royal Caribbean surmised that a larger, newer ship would be a better draw for Chinese customers. The company redirected the 4,180-passenger Quantum of the Seas, one of its most sophisticated ships, to Shanghai. 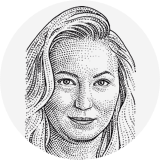 “It definitely was a gamble to put a billion-dollar asset there,” said Jason Liberty, the company’s chief financial officer. Big gains. In the past three years, Royal Caribbean has seen a 75% increase in Chinese guests on cruises outside of China in places such as Europe and Alaska. That’s in contrast to the Asian market, where 91% of cruise passengers stayed within the region in 2017, according to the Cruise Lines International Association. Ground game. The company has hired about 300 salespeople in the country to increase brand awareness and, on a more basic level, change the way consumers and travel agents think about cruises. Royal Caribbean also has developed strong distribution relationships with travel agents, said Carol Levenson, an analyst with debt analysis firm Gimme Credit. The European Commission will release a preliminary reading of euro-area consumer confidence for February at 10 a.m. ET. The U.S. Federal Reserve will release minutes from its January policy meeting at 2 p.m. ET. The WSJ's Nick Timiaros has five things to watch. CVS Health Corp., Gannett Co., Bausch Health Companies Inc., Southern Co., Jack in the Box Inc., GoDaddy Inc., Avis Budget Group Inc., Cheesecake Factory Inc. and Workiva Inc. are among the companies scheduled to report earnings today. 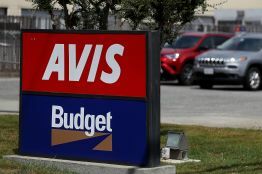 Avis Budget Group Inc. appointed John F. North III as chief financial officer, a move that comes as the car-rental company endeavors to boost its share price and its profitability, CFO Journal’s Nina Trentmann reports. Mr. North, currently CFO at automotive retailer Lithia Motors Inc., will take over the finance function at Parsippany, N.J.-based Avis on March 18, the company said in a statement. Avis Budget Group, known for its Avis and Budget car-rental services as well as its car-sharing offer Zipcar, is under pressure from activist investor SRS Investment Management LLC—for years its largest shareholder—to increase efficiency and drive profitability. Walmart Inc. strengthened its grip on American shoppers over the winter holidays, posting strong sales growth as the world’s biggest retailer lured customers from shrinking chains and ramped up its online grocery business. Glencore PLC said Wednesday it plans to cap its coal output in line with a global transition away from high-carbon-emitting fuels, a sharp shift for a company that for years has been bullish about the commodity. Pinterest Inc. has stopped returning search results for terms relating to vaccines, a drastic step aimed at curbing the spread of misinformation but one that also reflects the challenge in monitoring hot-button health issues for social-media companies. Ford Motor Co. intends to stop making heavy trucks in South America and end production at an assembly plant in Brazil this year. Chinese e-commerce behemoth Alibaba Group Holding Ltd. has joined online rival Tencent Holdings Ltd. as a sizable shareholder in investment bank and broker China International Capital Corp.
Any company exploring whether to go public would get greater leeway to discuss their plans privately with potential investors before announcing an initial public offering under a proposal that the U.S. Securities and Exchange Commission released Tuesday. British regulators said they were leaning toward blocking a proposed merger between Walmart Inc.’s British grocery unit Asda Group and rival J Sainsbury PLC, threatening to scuttle one of the retail giant’s biggest overseas overhauls. Pentagon lawyers filed a new motion in the legal battle over a military cloud-computing contract worth up to $10 billion, marking a tactical shift that could signal more trouble for a procurement process which Amazon.com Inc. has been favored to win. The German government is leaning toward letting Huawei Technologies Co. participate in building the nation’s high-speed internet infrastructure despite U.S. warnings about the risks posed by the Chinese tech giant, according to senior German officials. McKinsey & Co. agreed to pay $15 million to settle U.S. Justice Department allegations that the large consulting firm failed to make required disclosures of potential conflicts in three chapter 11 cases it had advised on in recent years. Danske Bank A/S is shutting down its operations in Estonia as the fallout continues from a massive money-laundering scandal that has led to investigations in several countries. The "walk-and-talk" meeting is big—too big. The ambulatory group confabs force office politics inelegantly onto the sidewalk; "like a bunch of ducklings going down the street." The National Association of Home Builders said its index of U.S. builder confidence in the market for new single-family homes rose to 62 in February from 58 in January. Stocks and bonds are rising on bets that the U.S. Federal Reserve has ended its nearly four-year campaign of interest-rate increases, worrying investors who believe the central bank could upend those expectations later this year. United Bancshares Inc., the Columbus Grove, Ohio, bank holding company, named Stacy Cox its chief financial officer. She succeeds Daniel Lucke, who is taking on the position of controller of the bank. Ms. Cox was most recently chief operations officer and chief risk officer with Croghan Colonial Bank, a role she’s held since 2008. Before that she was senior vice president, operations, for Huntington National Bank from 1992. Ms. Cox’s compensation will include an annual base salary of $185,000, a cash signing bonus of $10,000 and eligibility for various cash and equity awards, according to a regulatory filing. Fresenius Medical Care AG, a Bad Homburg, Germany provider of dialysis products and services, said its chief financial officer, Michael Brosnan, plans to retire from the company. Mr. Brosnan will stay in his role until a successor has been identified and transitioned into the role, according to the company. He has been CFO at Fresenius Medical Care since Jan. 2010.